NEW ORLEANS – The U.S. Department of Justice has announced an investigation into the Louisiana bar over alleged violations the Americans with Disabilities Act (ADA). The investigation focuses on the handling of bar applicants' mental health status. The Louisiana bar, a professional association for attorneys governed by the Louisiana Supreme Court which all practicing lawyers in Louisiana must be part of, has come under fire for its practice of only admitting certain applicants to the bar with mental illnesses under a conditional bar licensing system. 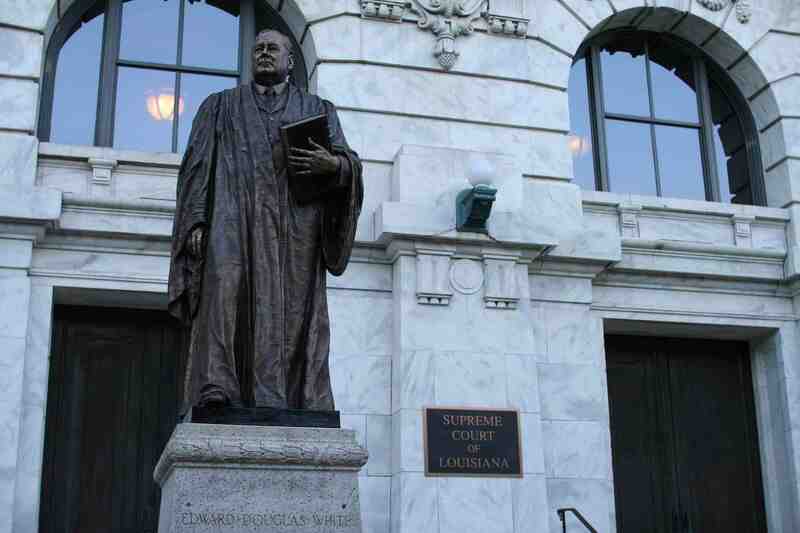 The Department of Justice (DOJ) maintains that although the Louisiana bar has the right to base admission upon an applicant’s personal history, it can only do so if that applicant has engaged in misconduct. According to a letter addressed to Louisiana court officials, the DOJ has found that Louisiana bar asks all applicants about their mental health status and if the applicant admits to having been diagnosed with a mental illness the applicant is then asked to authorize access to mental health records. “Questions based on an applicant's status as a person with a mental health diagnosis do not serve the Court's worthy goal of identifying unfit applicants, are in fact counterproductive to ensuring that attorneys are fit to practice, and violate the standards of applicable civil rights laws,” states a letter from the DOJ to Louisiana Supreme Court Chief Justice Bernette J. Johnson and others. Between 2008 and 2012 the Louisiana bar forwarded at least 58 applicants’ records for review to a psychiatrist for an Independent Medical Examination and two applicants have revealed associated charges between of $560 and $800 they were charged for such a review, according to the letter. The results of the examination of applicants’ records by a psychiatrist have resulted in the applicants being required to consent to non-negotiable individual terms, including how often they need to see a mental health provider, before being admitted to the bar and risk the possibility of being denied admission altogether if they do not agree with the Louisiana bar's terms and conditions, according to the letter. Due to the circumstances surrounding the conditional bar admittance the DOJ found the Louisiana bar makes discriminatory inquiries about mental diagnoses and treatments, engaging in supplemental investigations triggered by mental health status as revealed in an applicant’s character and fitness report, discriminating based on stereotypes, failing to provide adequate confidentiality protections and putting intrusive and unnecessary conditions on bar admission in relation to mental health diagnoses. The DOJ mentions that the ADA does not allow state licensing entities to impose eligibility requirements that screen out individuals with a particular disability, such as a mental illness. The investigation by the DOJ’s Civil Rights Division began after it received an ADA complaint from the Washington, D.C.-based Bazelon Center for Mental Health Law on behalf of two individuals only identified by the initials TQ and JA. Through the investigation the DOJ identified seven individuals, some of whom were already licensed to practice law in other states, were affected by the Louisiana Bar’s mental health policies as well as others who may have been affected. The DOJ's Feb. 5 letter was also addressed to Elizabeth Schell, executive director of the Louisiana Supreme Court Committee on Bar Admissions and Charles B. Plattsmier, chief disciplinary counsel for the Louisiana Attorney Disciplinary Board. The letter states that the investigation was also launched due to conversations DOJ representatives had with Johnson, Schell, Plattsmier and other members of the Louisiana bar staff about admission policies regarding mental health.